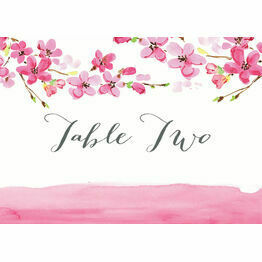 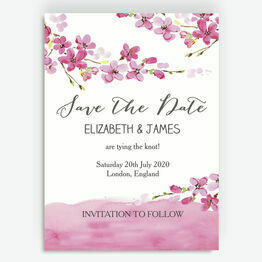 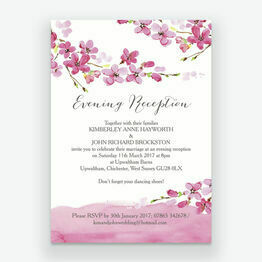 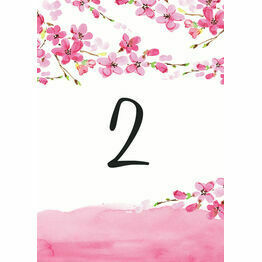 Inspired by pretty cherry blossom flowers, this beautiful range of wedding stationery uses every tone of pink with a watercolour effect to create truly stunning designs. 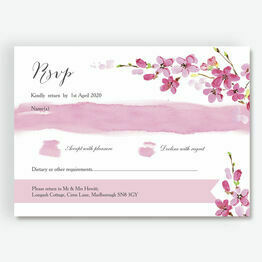 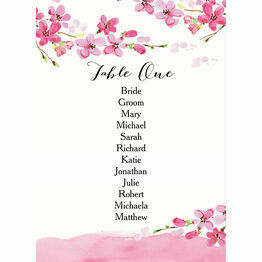 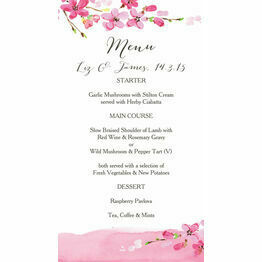 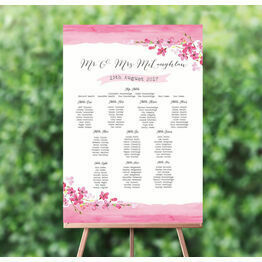 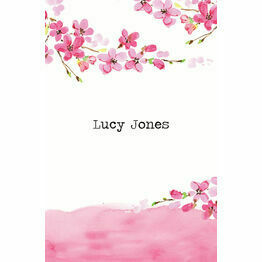 The perfect choice for spring weddings, it will complement any pastel colour scheme. 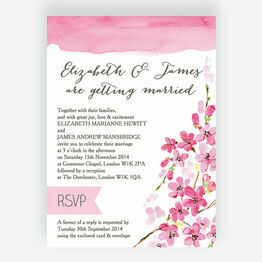 All items are available to print yourself or printed and delivered to your door.